Windows 10 operating system from Microsoft, is one of its achievements in OS industry after its predecessors like XP, Vista, 7, 8 and 8.1. If you are using a computer, then probably have the same OS installed. This operating system is basically known all over the world for its easy GUI interface and compatibility to a number of software and hardware components. So, it’s expected for users to consider Windows 10 as one of the best OS in the world. Well, coming what’s new in this operating system is its regular updates and new build updates which brings a number of new feature and security patches with them. In these contexts, a user might require to known actually which Windows 10 version they are on. Even many users have idea about what built they are running on their computer, but almost a large number of PC users are still not aware of same. Well, this is itself not a very necessary thing unless the build version becomes an important thing for you. 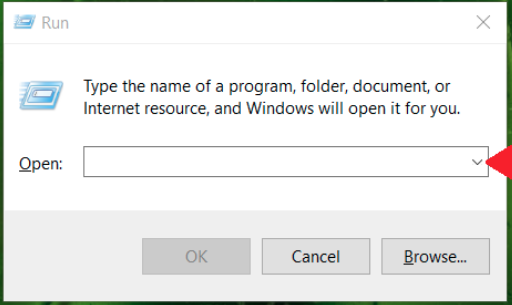 Means, in case if you come to such a situation where to know the actual Windows 10 version active on your computer, becomes necessary to be known, you should have idea how to find it. 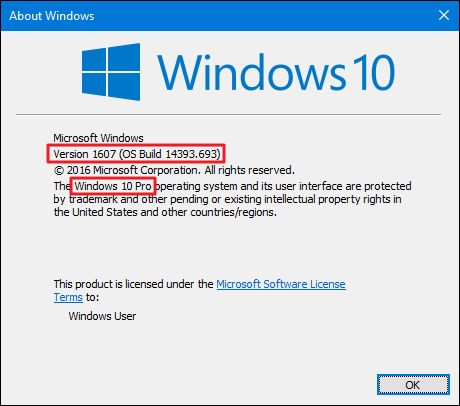 If you are not a tech geek, then this article will allow you to learnn how to check Windows 10 version 32 or 64 bit, active on your PC as well as what build version you are on. So, just check out some simple steps to accomplish this need. Step 1: Hit Win + R key combination to Open Run command line. Step 2: In the Run command line text field, type ‘winver’ and click OK button at the bottom. That’s it, and your current Windows version active on your computer will be displayed along with the build number and other details as well. 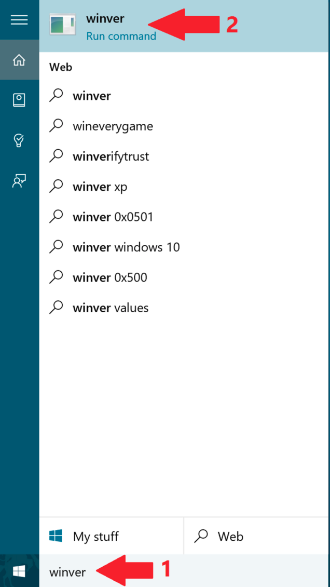 The very first thing you should know about ‘winver’ is that it’s actually a small inbuilt application inside Windows 10 operating which loads the OS details when launched. So, just search and find this app and execute it, resultant will be displayed on screen. Here’s another way you can accomplish this task using Cortana search box. 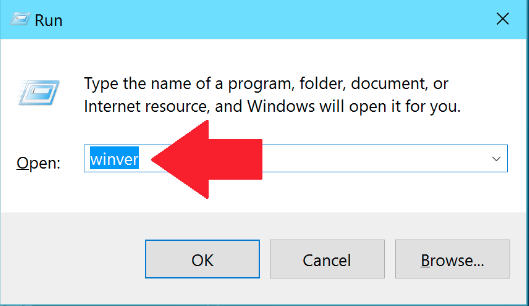 Step 1: Just click on Start menu and type ‘winver’ and the application will appear in the search result as depicted in the image below. Step 2: Click the app and the Windows version will appear on screen. 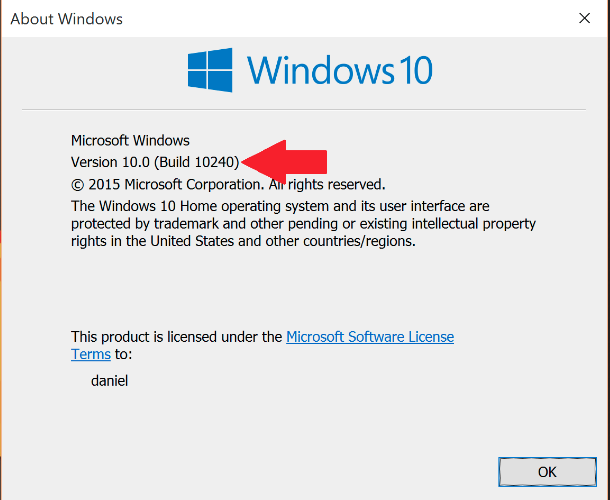 Till here, you might have learned how to check Windows 10 version on your computer along with active build version as well. Don’t you think that’s very easy and just takes a few seconds. If you really liked this article, then share it with your friends and let them learn too. Also, Subscribe Us to stay tuned with more fine tricks of Windows. If you even like to learn something else, you can also ask us to provide details, and we will update you in the shortest possible time.